Many women seeking bunion treatment tell us that they are tired of hiding their feet. They tell us that they feel frustrated and alone in dealing with unsightly, often painful bunions. Bunion sufferers across the world recently found that they are not alone in their struggle with a misaligned toe joint. According to several UK publications, none other than the Duchess of Sussex, Meghan Markle, also suffers with bunions. She apparently recently sought surgery to correct them. In the article, they mention that minimally invasive bunion surgery as an option to permanently correct bunions. At Vancouver Podiatry, Vancouver Podiatrists Dr. Roy Mathews DPM and Dr. Victor Quintoro DPM offer minimally invasive bunion surgery to correct bunions. There are many myths surrounding bunion surgery which we explore in this blog post. To hear one of our patient’s experience with minimally invasive bunion surgery you can watch Episode 1 of Charley’s Bunion here. 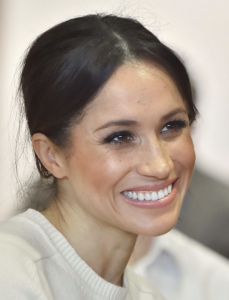 It is unfortunate and rather invasive of her privacy, that Meghan Markle’s feet have come under such media scrutiny. One positive thing that may result is a raised awareness that this is a common problem, that no one need be ashamed of, and for which there are cost-effective, non-invasive procedures that offer a permanent solution. If you have a bunion and are seeking bunion treatment, please book an appointment at our Kerrisdale office and we’ll be happy to discuss the options available to you.